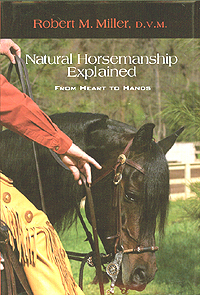 This book documents the extraordinary events of the past quarter century which are changing the ancient art of horsemanship from training to riding, tack, medicine, and more. Most significant, they suggest that the communication skills involved in this remarkable change can be used to facilitate human relationships. l8.5 in. x 11.0 in. format. 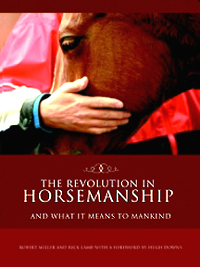 In this book, Dr. Miller provides a unique perspective to the movement that has fundamentally changed the way humans interact with horses around the world. 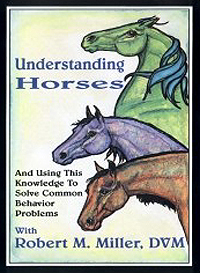 Along the way, he exposes myths, explains truths, and clears up mounds of misinformation about equine behavior. 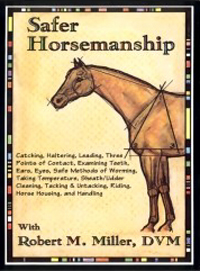 Regardless of your experience or degree of horse knowledge, this book will enlighten you and foster your horsemanship skills. Dr. Miller discusses the ten characteristics of horse behavior, and provides a scientific explanation of why today's clinicians are able to shape the behavior of horses so quickly, effectively, and humanely. Using these insights, he explains rational ways of dealing with common problems. 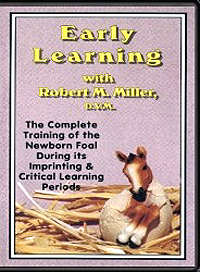 The procedures thoroughly explained in this DVD take just minutes to teach during the imprinting and critical learning times, which occur in foals as soon as they are born. After using these techniques, your foal will accept grooming, hoof trimming, clipping, vet exams, trailer loading and will be unafraid of paper, plastic, and new experiences. 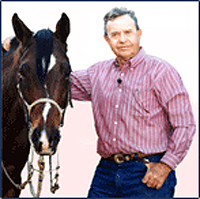 Dr. Miller teaches his techniques for safely handling, treating, training, and riding horses.